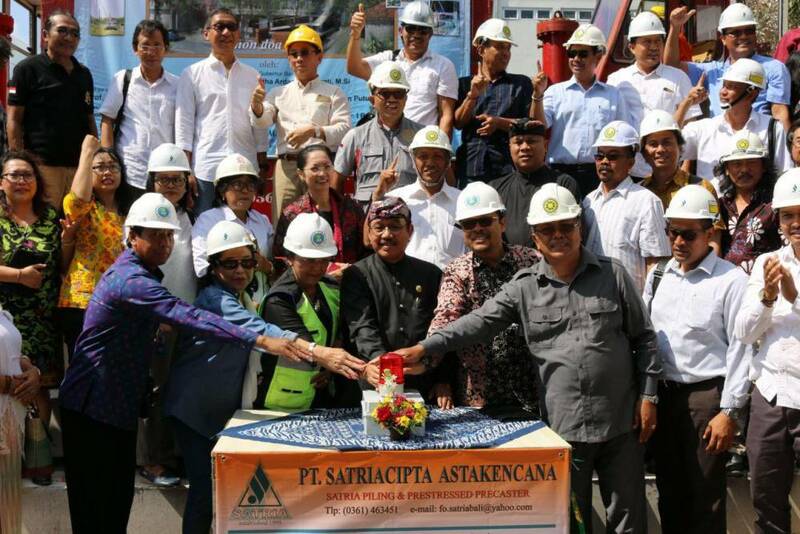 Denpasar - The Construction of Unud's Faculty of Engineering Alumni Building by the Deputy Governor of Bali, Monday (1/10/2018) was held to coincide with the 53rd BKFT at Sudirman Campus in Denpasar. The event was attended by the Chancellor of Unud, Vice Chancellor for Academic Affairs, Dean, Deputy Dean, Lecturers and alumni of Unud FT. On the occasion, cutting of tumpeng was also carried out by the Dean of a series of BKFT warnings. Dean of FT Unud, Prof. Ngakan Suardana conveyed the Udayana University Faculty of Engineering Alumni Building had been initiated since 2016 by gathering the Deans of the previous period, seniors and alumni. The entire team in the construction of the Alumni Building, both the Design Team, Structural Team and Development Team are alumni from the Faculty of Engineering, Udayana University where the purpose of building this building itself is as a learning tool for students of the Faculty of Engineering, Udayana University who will later be equipped with technology the latest. The design of the Udayana University Faculty of Engineering Alumni Building is the work of Mr. Popo Danes, one of the alumni of the Faculty of Engineering at Udayana University with the Chair of the Alumni Building Development, Prof. Dr.Ir.Putu Rumawan Salain, MSi. Chancellor of Unud, Prof. A.A Raka Sudewi gave his apresanya and conveyed the construction of this building as a form of the role of alumni in developing their environment. Similar things were also done by other universities in contributing to their alma mater. Contributions provided by FT's alumni are expected to continue, considering that this can support institutions in ranking universities and the role of alumni is also very important in the accreditation process, presumably the efforts and support of alumni will continue to be given to the alma mater.